While I do not miss my college classes one bit, I do miss one perk—student discounts. A friend of mine, who will remain nameless, is a career gal like me. Yet, she graduated early and has a seemingly valid student id. 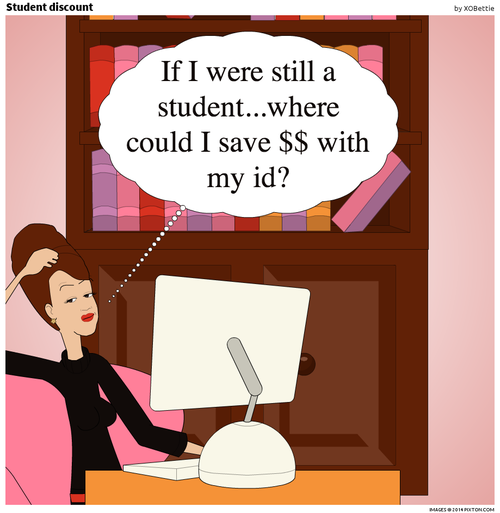 Enjoy your student discounts while you can!